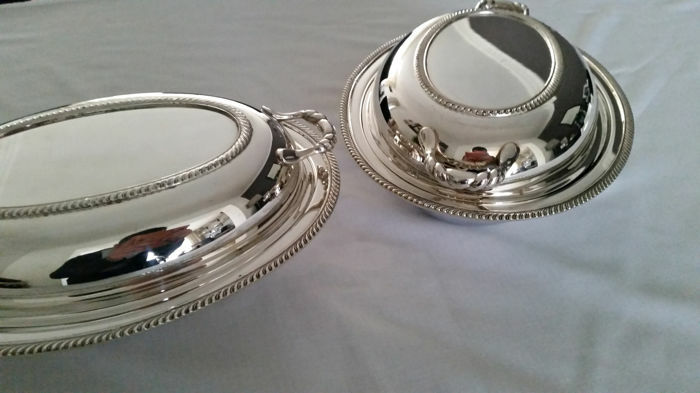 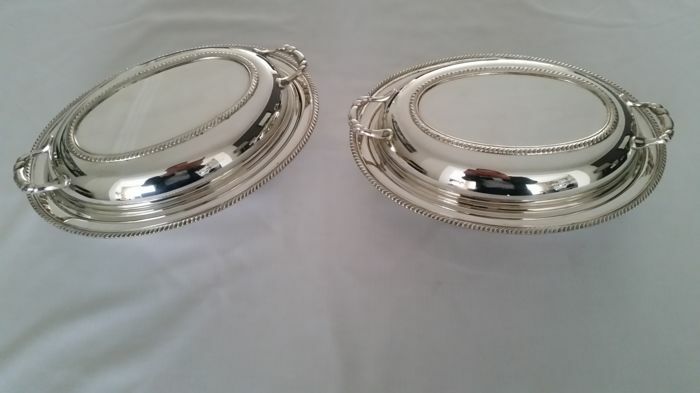 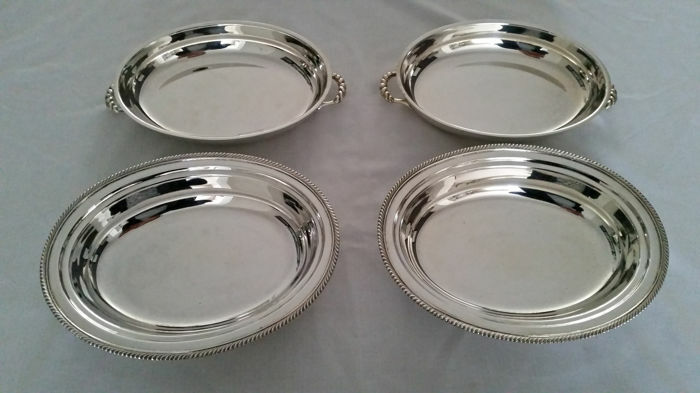 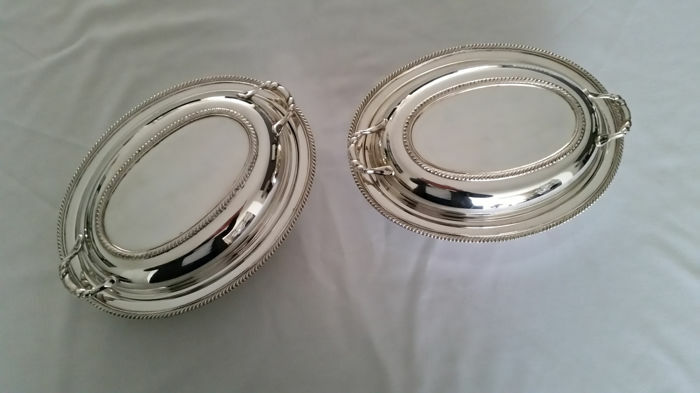 A beautiful pair of silver plated serving trays, made by Oneida Silversmiths, Canada. 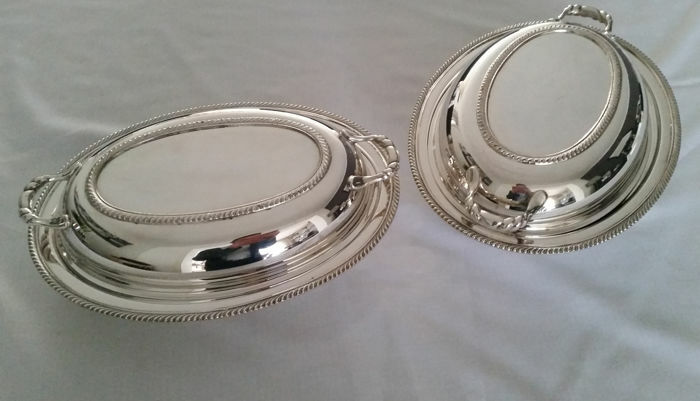 The trays have a removable cover with 2 decorated handles which can also be used as a dish when turned upside down. 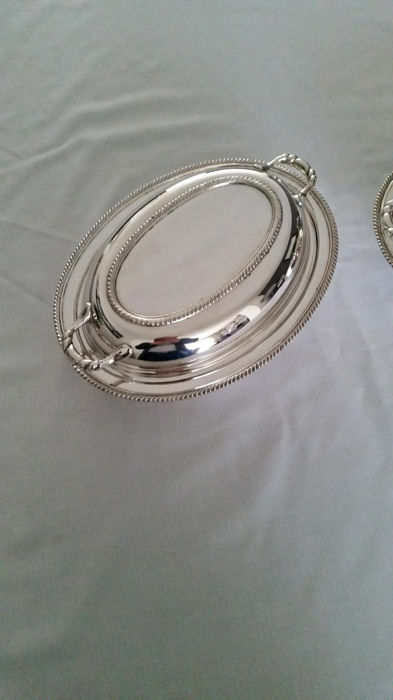 It is ideal as a chafing dish when closed The trays have a rib pattern along the edge. 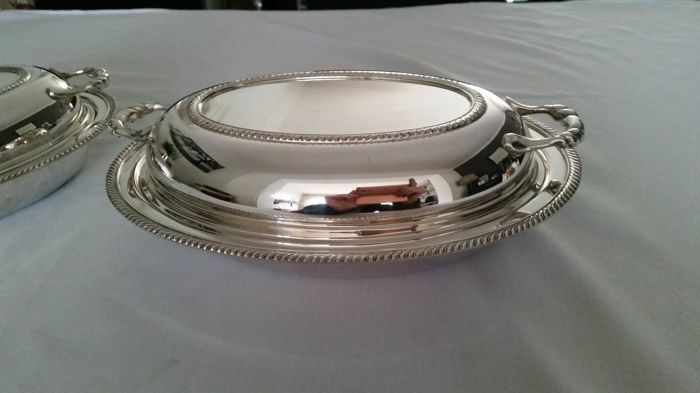 Very practical and elegant on the dining table. 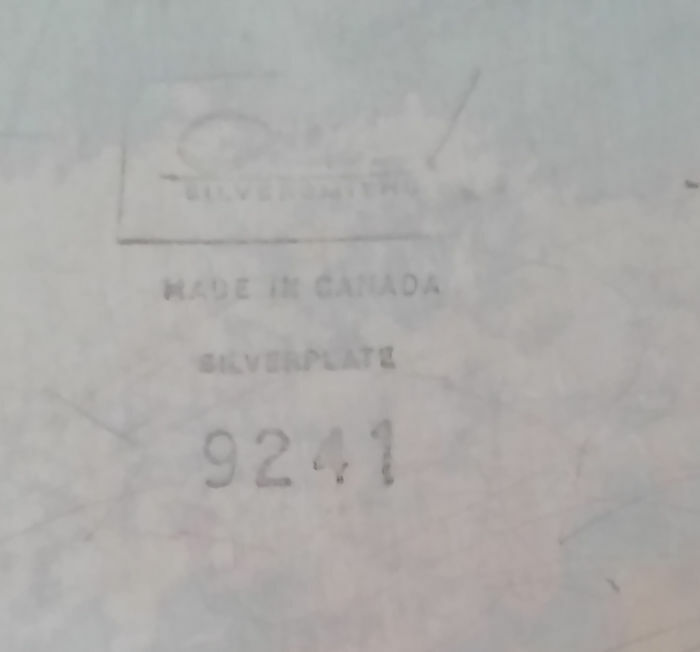 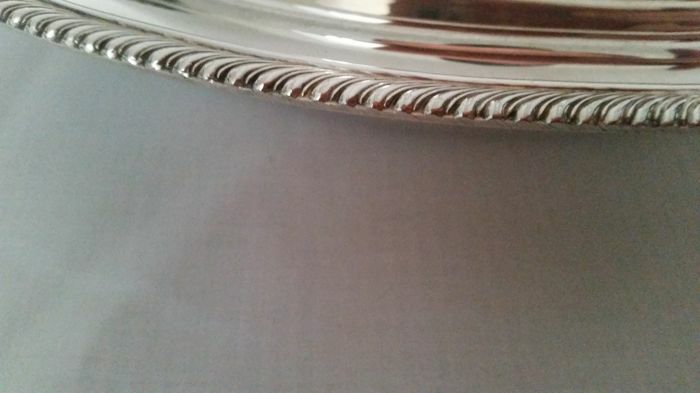 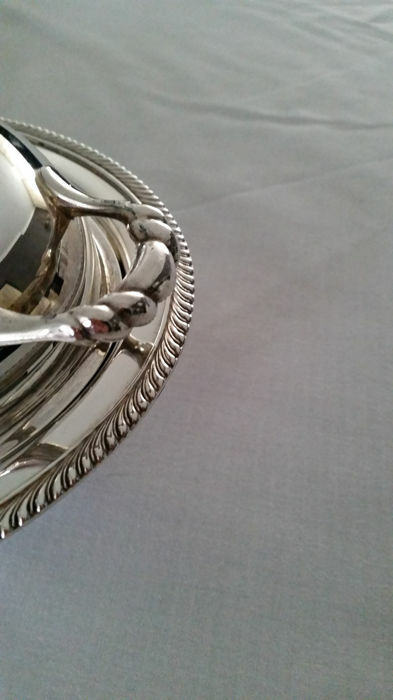 Marked [Oneida Silversmiths][Made in Canada][Silver Plate] on the underside. 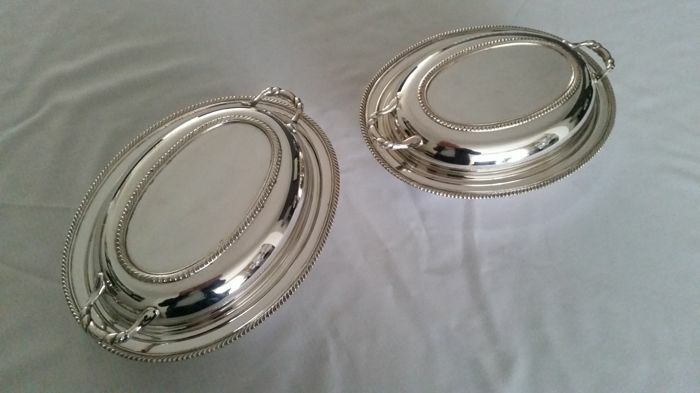 The trays are in excellent condition, with here and there minor scratches due to use. 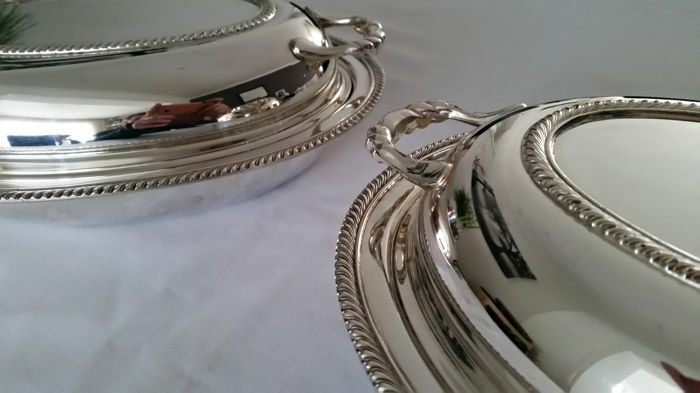 This lot will be packaged with care and shipped registered by parcel post, including Track & Trace.